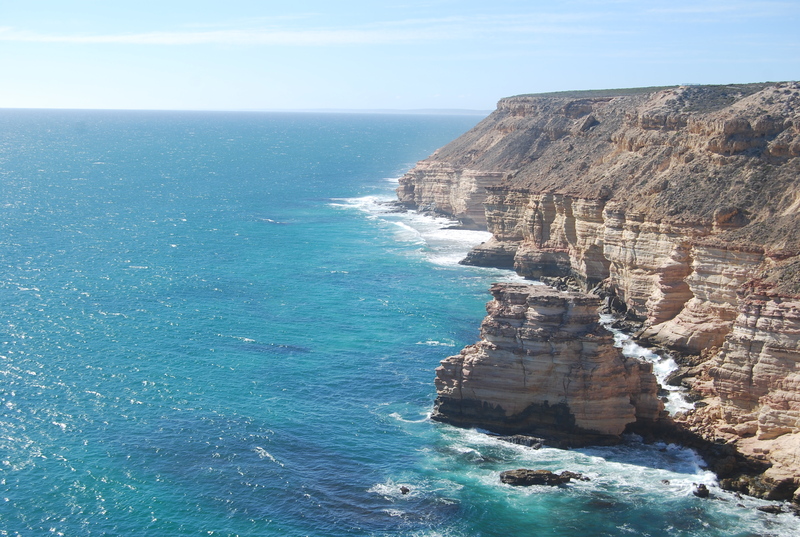 8 hours north of Perth is a wonderful town known as Kalbarri! Moritz and I made an attempt to leave early for the drive, but failed miserably. Come late night, we embarked with our car packed full of surfboards and sunscreen and made our way up there. “Awwwwwwww cute! A kangaroo!” I bounced up and down in my seat giddily at the sight of a kangaroo hopping along a field. Then suddenly, as the sun set, the kangaroos were everywhere. Literally about two hundred or so kangaroos mingled on the side of the road threatening to boing in front of/onto our car at any moment. We drove extremely slow for the next few hours, feeling as though we were on an Australian safari. After the kangaroo induced delay, we arrived at Lola Rose Bed & Breakfast, a homey B&B located near the beach and run by Lola, a sweet and talkative Tongan woman. 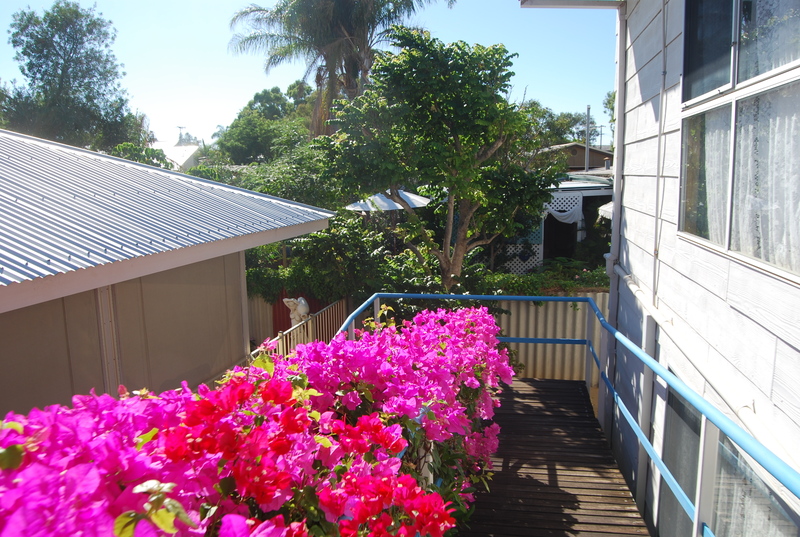 The B&B provided a free delicious breakfast and an all access kitchen, which was awesome for us – budget home cooking is the way to go in pricey Australia! Our first day was spent enjoying the uncrowded beaches. 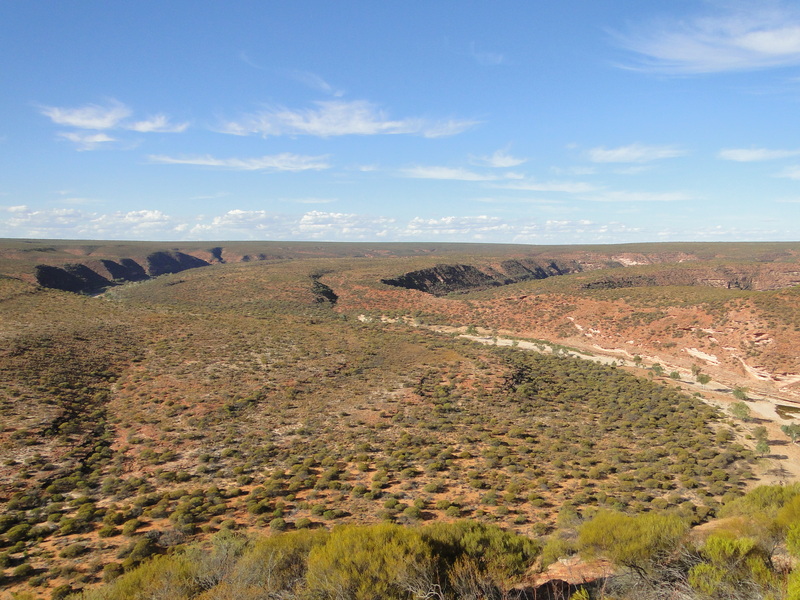 I’ve mentioned before that Western Australia is essentially unpopulated, and people in Kalbarri kept talking about what a busy weekend it was. 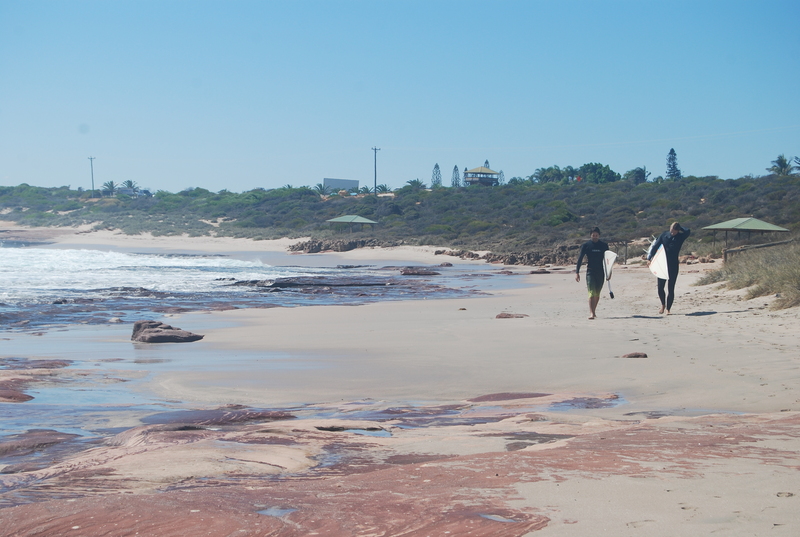 This meant that Moritz had to surf in the company of about ten others at one of the country’s best reef breaks. Not bad considering California boasts large crowds on even the smallest of days. In the evening, we cooked a potato dish at Lola’s. An older Australian couple we had exchanged small talk with earlier in the day sat nearby watching a movie. The older man politely asked if we could cook a bit quieter. We politely obliged and thought everything was settled. The couple rose to get ready for bed while we were just finishing cooking. We began to nod and agree. His face was getting extremely red, and his wife cowered into their room. Feeling uncomfortable, I smiled awkwardly. Stunned, we stared at him before he retreated to his room. 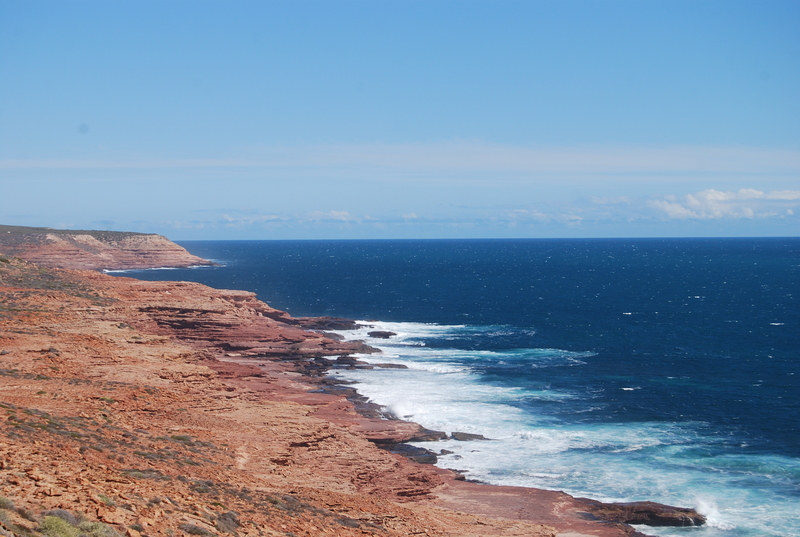 The next day, we drove to Kalbarri National Park armed with water bottles and sunscreen to do a few hour loop hike. 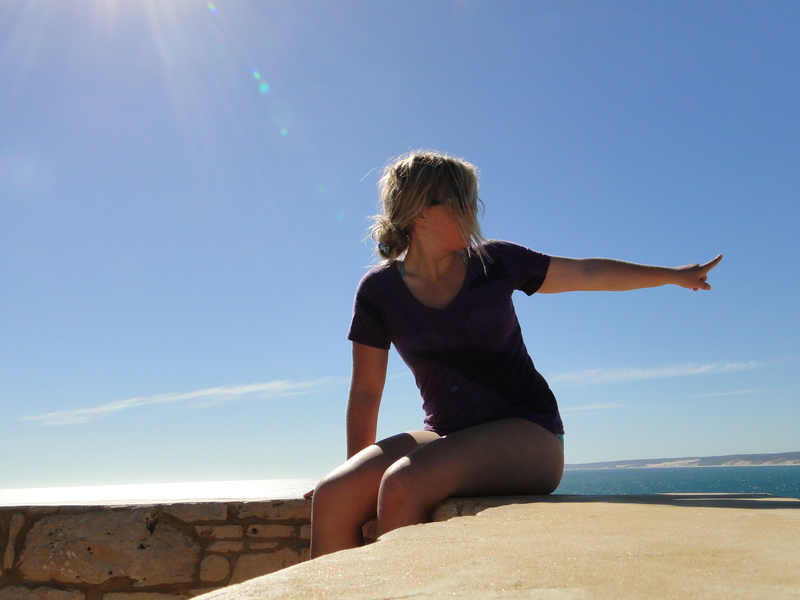 We stopped at a lookout to snap some timed pictures, and we’re greeted by a small swarm of flies. I figured that it was just the area, and we continued onward to the trail. I thought being swarmed by mosquitoes in Yosemite, a spider bite that infected half of my foot, and existing in Nicaragua (where the whole country is still water bug habitat) had prepared me for the havoc bugs can wreak on a human. 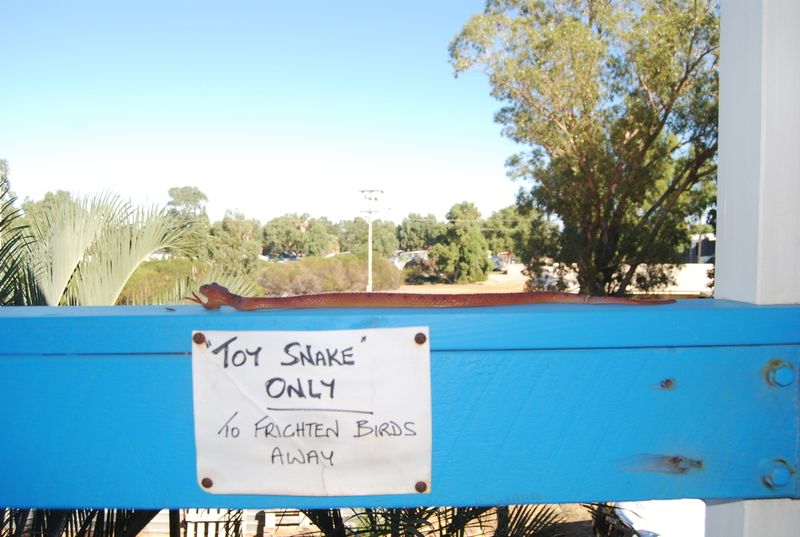 Oh no, that was child’s play compared to my Kalbarri National Park experience. This is where the big boys rule. Moritz had caught a glimpse of the flies earlier in the month on a visit here with his mom, and knew there would be flies. 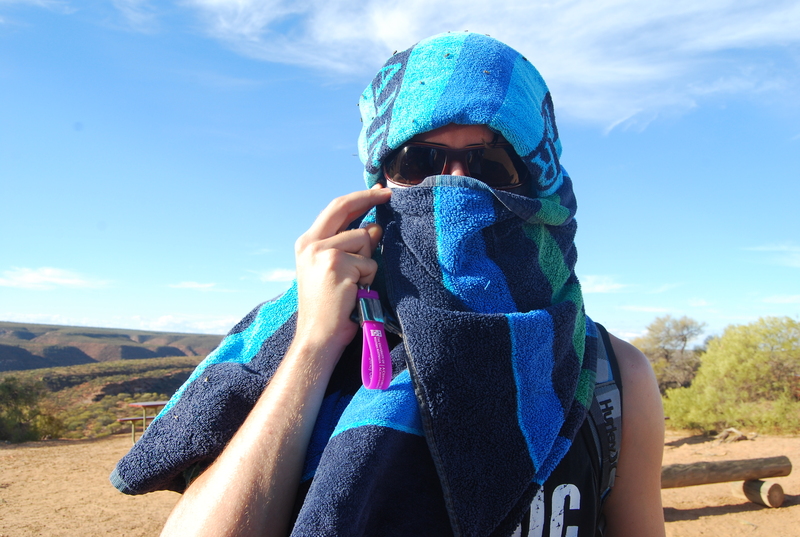 He pulled towels out of the car and fastened turbans around our heads. A little dramatic for some flies, I thought to myself. A few steps onto the path, and we were covered completely. They buzzed in our ears. They buzzed in our eyes. They buzzed in our noses. They buzzed in our mouths. They buzzed in our belly buttons while we flailed around trying to swat one, just one! It was uncomfortable to breathe and talk. Either you inhaled towel, or you inhaled flies. We made it to Nature’s Window rock formation with a few others who were braving the flies. All of us turned back after this endeavour. Lord of the Flies! At some points, the towel was almost black. The signs around the park warn you of deaths that have occurred due to heat strokes. I shuddered thinking that perhaps it wasn’t the heat that killed these people, but suffocation by flies. We migrated to the ocean once more in appreciation of being fly free. The mosquitoes that feasted on our bodies through the evening felt delightfully tickling in comparison. 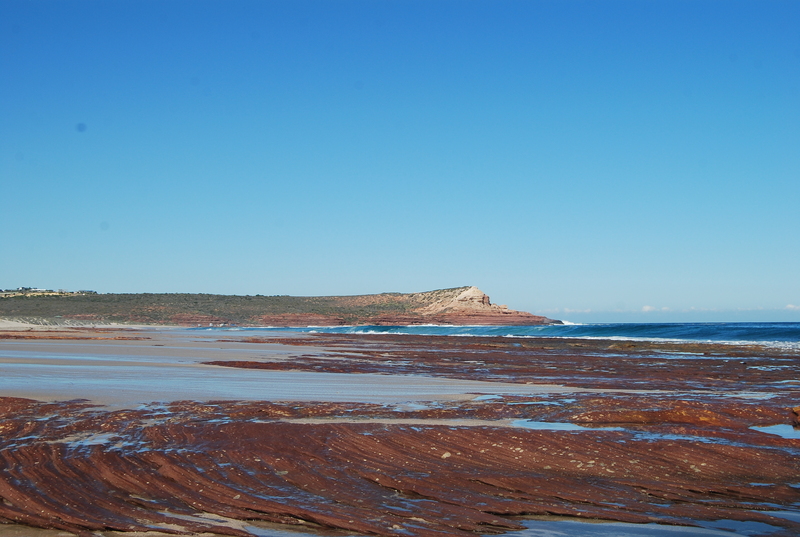 The area of Kalbarri beach is protected by a large peninsula that keeps the waters protected and calm. At Lola’s, we were pleased to see that the couple had gone home! We made dinner and walked to the only lively after hours pub in all of Kalbarri, where couples young and old danced to a cover band’s rendition of 80s music. One tall, extremely sweaty (his white shirt was so sweaty that it was transparent), young man seemed to be the life of the party. He danced in the middle gesturing to people to come dance with him. He targeted me, finger curling me over to come dance with him… I avoided eye contact but he was relentless. He convinced everyone else to peer pressure me into jumping into his arms, a la Save The Last Dance style. I looked to Moritz in a panic. Moritz ran into sweaty man’s open arms and jumped! Ideally, he would have been gracefully lifted into the air and twirled delightfully around the crowd. In reality, Moritz body slammed the man, causing both of them to stumble backward into the cover band… Who momentarily stopped all music in anticipation of the seemingly inevitable collision. Luckily, nothing was damaged. Every place where Moritz had contacted the man was soaked in sweat, and I thanked him for his self-sacrifice. This, ladies, is how you spot a gentleman. Our final day stood as an exemplary example of Murphy’s Law. 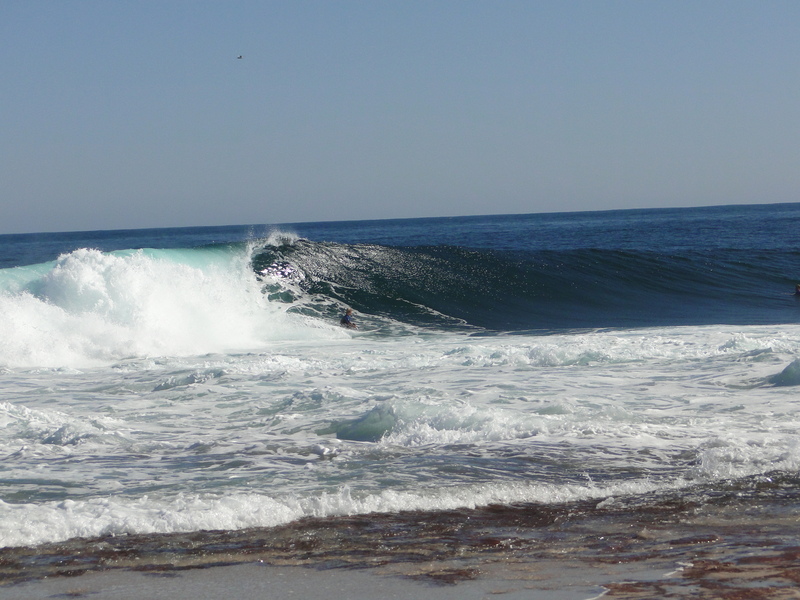 Moritz convinced me to paddle out in some hefty waves and at least watch and talk with him while he surfed. I eyed the sharp reef only one small wipeout away from the towering water and decided to paddle to a smaller, more friendly looking area after a while. Moritz met me here shortly after and we chatted in the water, bobbing in the small kid-friendly waves. Lost in conversation, we drifted over a reef and did not think much of it. Moritz casually mentioned the fact and we made a small attempt to paddle away. 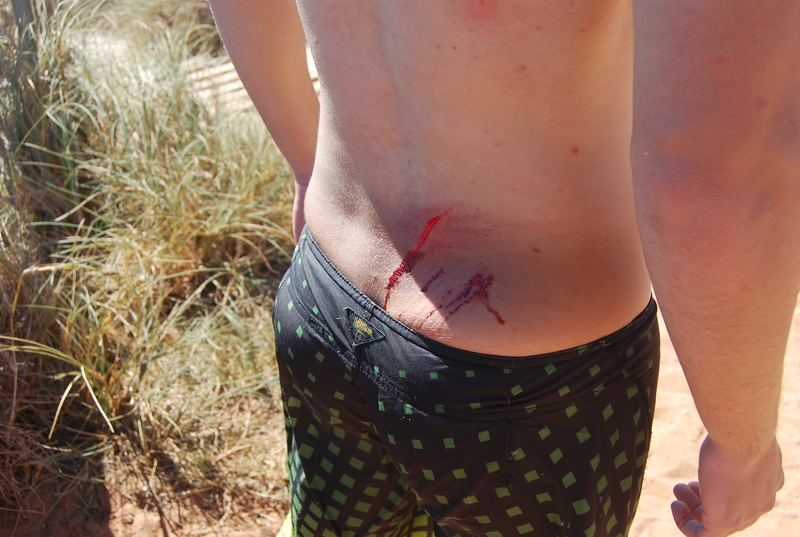 Then, a huge wave walled up and smashed us over the razor sharp rocks – leaving us with gashes and bruises. I made it to shore with only my feet annihilated, and looked back to check on Moritz. One minute he was standing, the next he was completely flattened. We laughed while the blood of his wounds splattered the surfboards from the wind. Oh, how silly it was to be smashed on the kiddy area after surviving the more foreboding reef! 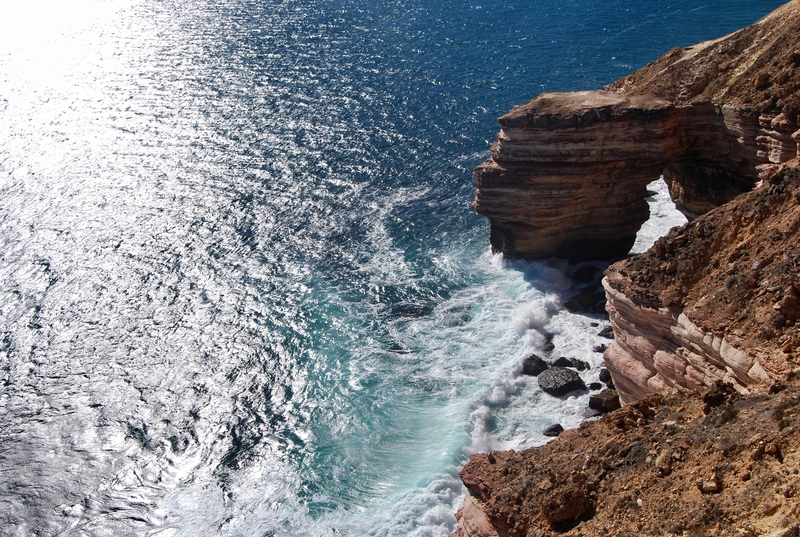 At the end of the day, we stopped by some lookouts and witnessed some stunning scenery. We drove home, and again it was where the kangaroos roamed unbounded by roads and fences. I drove through one of the only towns along the way and after unintentionally turning on the windshield wipers, stalling, and “clutch and break! Clutch and brake! CBB – clutch brake brace!!! ” while hitting the curb. Moritz resumed driving. Moritz and I passed the time with music translations – he translated German songs (turns out, they can rap!?) and I informed him of American cultural references in American rap (so far I’ve taught him what Digorno is, and informed him of Jessica Simpson’s battle with weight gain criticism). Both of us are learning new things, but it can be argued that one of us is gaining intelligence while the other may be losing it. Luckily, we skid in between two of the three kangaroos and somehow all five of us managed to continue our journey unscathed. The sun went down with the occasional car passing by every hour or so, and we noticed we were completely out of gas. Of course, we took the scenic route which is even more deserted than the no-mans land main highway, so finding a gas station was out of the question. 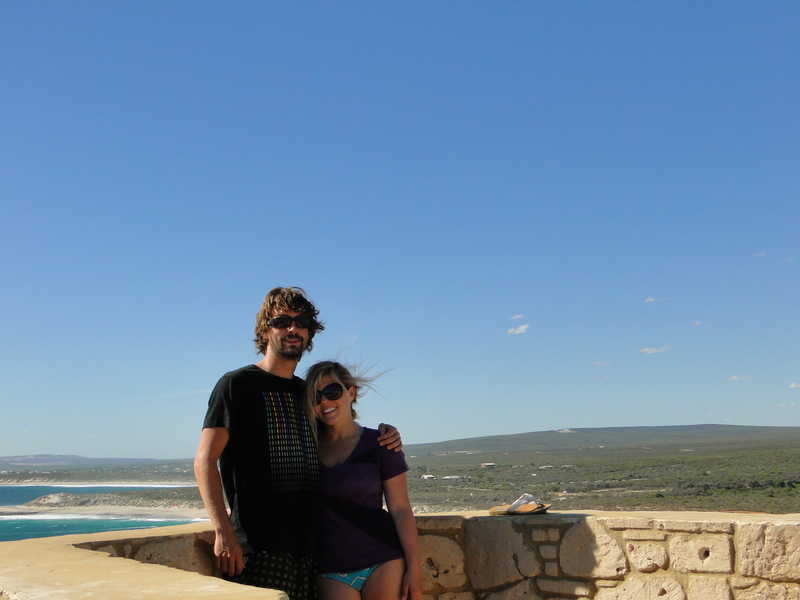 We stopped in Lancelin, a town known for exceptional kitesurfing and checked into a Lancelin YHA hostel at midnight. The hostel worker was friendly, and provided some much needed iodine and bandages. For the price of the room, we were very disappointed. The cement floor and stark decor did not spark comforting thoughts but one of a hospital – which fit the scene of our iodine covered bodies, so I guess in a way that was good. Had it not been for the fact that walking was extremely painful, we would have stayed an extra day to sandboard in the nearby dunes. 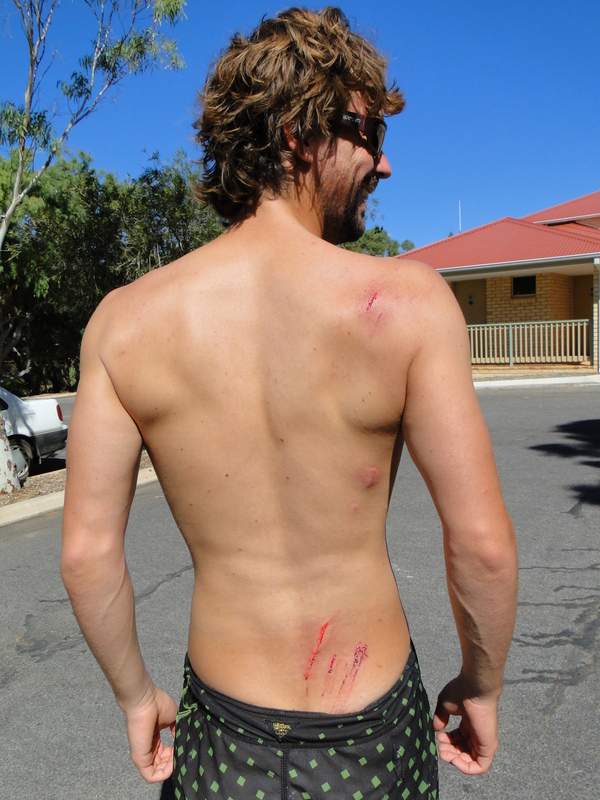 We arrived back to Perth in the afternoon and tended to our wounds. If this weekend was any indicator for how the rest of my trip would go, I was in for quite an adventure. 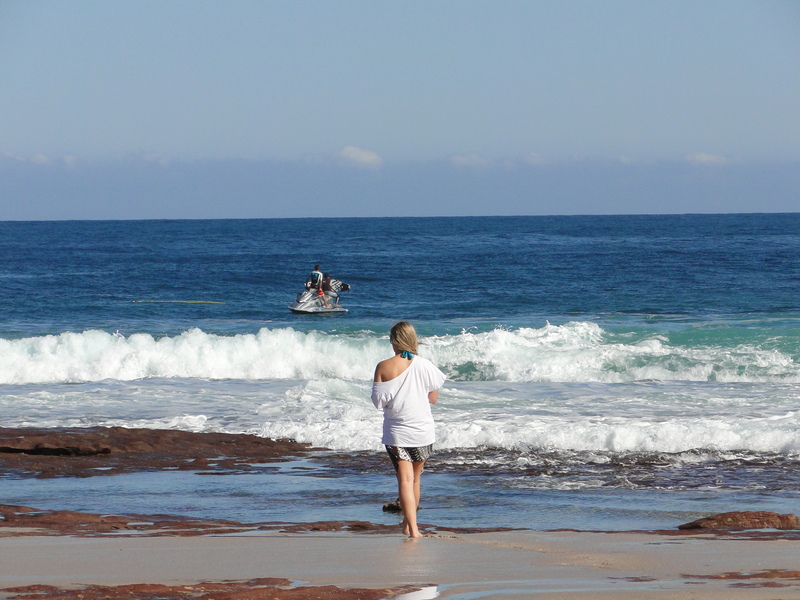 Check out my other recent post about Albany, Western Australia! 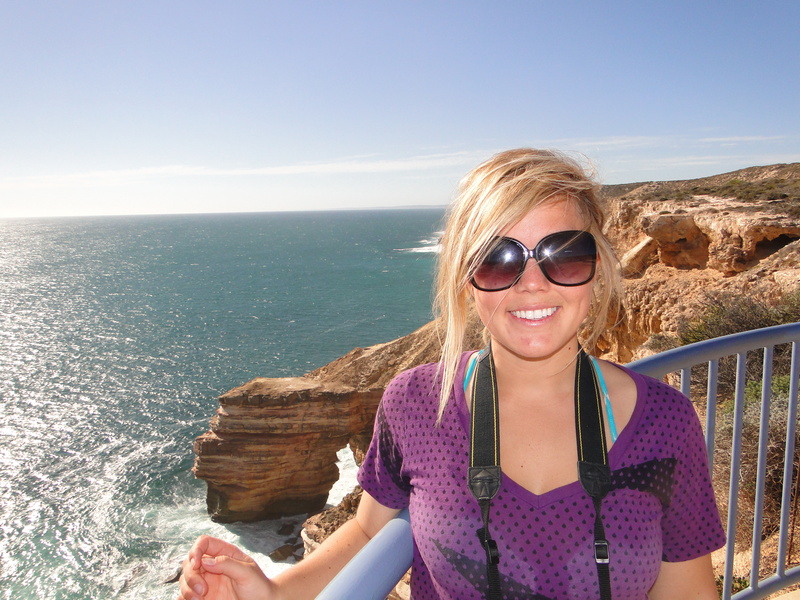 This entry was posted in Travel and tagged australia, backpacking, camping, couple, female travel, humor, kalbarri, lifestyle, travel, western australia on June 14, 2013 by chantae.